Monitoring the spatio-temporal variability of rainfall regimes in the Amazon basin is difficult because (1) time series of remote sensing–based rainfall estimates are still too short for long-time variability analysis and (2) rain gauge time series are not fully reliable and operational in their current state due to frequent gaps and zero values. The objective of this paper is to introduce a quality control and reconstruction procedure designed to produce a robust database of rain gauge–based daily rainfall in the Amazon basin. Despite the low density and heterogeneous spatial distribution of the rain gauges network, we eliminated unexpected values and produced accurate estimates using spatial and mathematical relationships with neighboring rain gauges. Three reconstruction methods were tested: the nearest neighbor approach (NN), the arithmetic mean with neighboring stations (AM), and the multiple imputation by chained equations used with the predictive mean matching procedure (MICE). The quality of the reconstruction has been assessed through the mean annual rainfall and the mean annual number of rainy days. We concluded that the AM approach performed better at the scale of the whole Amazon basin. This method has then been preferred to reconstruct the whole database of rainfall time series. 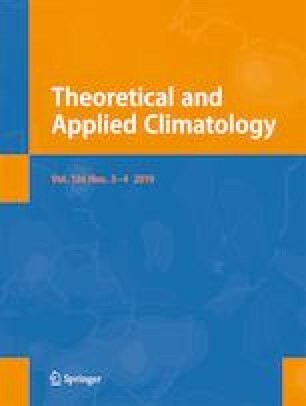 The authors would like to express their special thanks to Naurinete J. C. Barreto and George Ulguim Pedra for their help and discussions from the Meteorology Department of the Brazilian National Institute for the Space Research (INPE) and Cláudio Moisés Santos E. Silva from the Centro de Ciências Exatas e da Terra (CCET) in Natal University (Brazil). The artwork was created with R-cran, QGis, and Matlab software.